The year 2017 has seen a revival of the Double breasted suit. Back with a bang this style is climbing the style and popularity charts like flash. 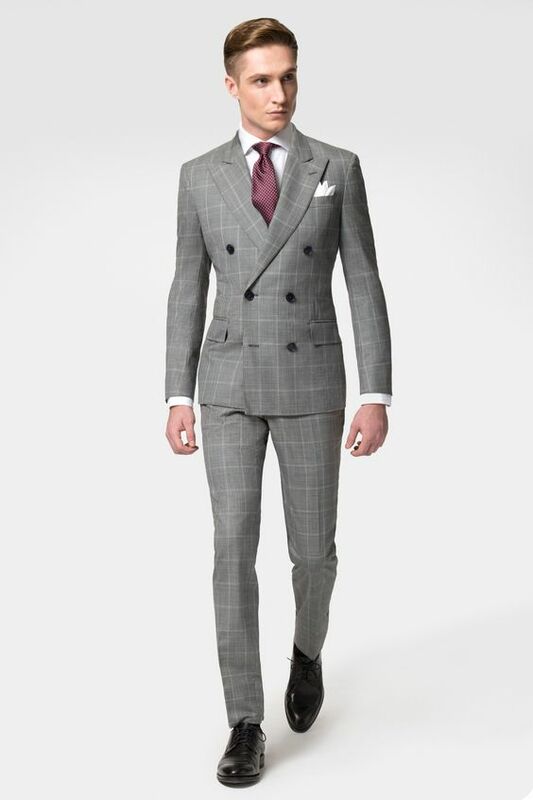 The classic design of the traditional DB suit when mixed with the innovative and modernistic designing sensibilities has created a winner, an absolute game changer for suits. I know a lot of you will want to get in on the action too but are confused about what colors to go for. Now when it comes to a DB suit, there are two things one must never forget. One, the jacket or the blazer is the hero. Rest everything is the supporting cast. And two, while a man in a suit looks distinguished, a man in a DB suit is hard to ignore. You will be attracting more attention than usual. So it is important to get the color bang on. Mistakes will cost you too much for too long. The first color is Blue. Darker shades are preferable. Blue looks suave and classy. Plus it goes really well with all kinds of skin types. They will bring out your eyes, if you have blue eyes that is. A combination of a blue double breasted suit with tan shoes will make you stand out. Nest is my personal favorite Now I love blue, but just this once I would like to deflect to grey especially in its charcoal grey hue. A grey DB looks as stunning dressed up as dressed down. Be it a formal, casual, semi-formal or any other social setting, this color adapts so well, with trousers, chinos, denims; that it will make Darwin proud. The third and the last color on my list is Cream. This is for those who like to look elegant but also want to play it safe. If you wear it in a formal setting than add a deep maroon or burgundy tie. That will make this outfit pop. If you wear it in an informal setting you can add a pocket square in the hues just mentioned.